Formed in 2003, DVS Limited has quickly established itself as one of Europe’s most successful multi-brand distributors of electronic surveillance products. A fast paced and energetic organisation, DVS has embraced innovative technological advances in the industry and are now seen as one of the industry’s most proficient distributors of IP CCTV products. This has been built on a large investment made into a superb sales and technical teams, and also state of the art demonstration and training facilities located at DVS HQ. DVS continues to grow organically to maintain team spirit and ensure that every member of #teamdvs is committed to achieving a shared goal. Excellent retention of quality staff, grouped with a fantastic working environment ensure customers and suppliers alike receive a positive impression at all times. DVS prides itself on large stock holding, with up to 98% of the products in our catalogue available for next day delivery. DVS has built an enviable reputation in the industry that has helped to ensure that many of the industry’s leading manufacturers have decided that DVS is the best partner to introduce their products to the professional installer. 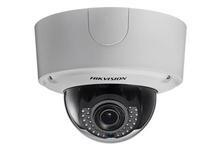 Talk to us today about your CCTV requirerments.